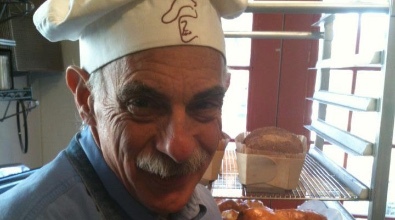 Benish's Bakery began with a devotion to making an exceptional biscotti. What I envisioned had to be thin and crisp, but tender enough to nibble. My biscotti had to be bursting with flavor alone or when dunked in coffee, tea or wine. They had to hold together and not leave a gunky mess in the bottom of the mug or glass. The Citrus, My Hazelnut and Trade Winds are the result. Since opening we have sold our products to retailers and consumers here in Kansas City and nationwide. And we have developed other products for our local markets, all made using natural and organic ingredients. If you want a glorious cookie with your morning coffee, we'd love for you to try Bob's Biscotti. The 2-slice Sampler will let you try all three varieties and keep the unused biscotti fresh and ready to dunk, nibble, or pair with a bowl of gelato or a bit of cheese and wine. For local and national retailers who wish to try our biscotti in their coffee shop, restaurant, catering or specialty store, please contact us at 816-444-6778 to get access to our wholesale site to register to shop. I look forward to hearing how you like the biscotti I bake for you - Bob's Biscotti.